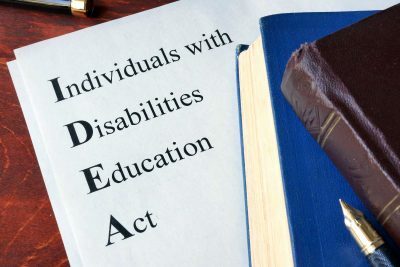 The Individuals with Disabilities Education Act (IDEA) is a federal law that was passed in 1990 and has been amended. The IDEA provides children with qualifying disabilities, from birth to age 21, with the right to a free public education that is specifically designed to meet their individual needs. Some important concepts carried over from the Education for All Handicapped Children Act, passed in 1975. 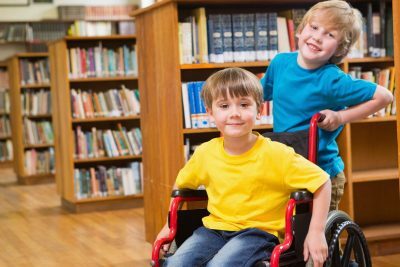 That was the first United States law that required schools to provide Special Education to all children with disabilities. This article provides a quick summary of the IDEA, which is unique as a law that provides an individual entitlement. Entitlement means that a child with unique needs gets those needs served on an individual basis, not based on a system or program that’s already built and available. The strengths and challenges of a specific student are assessed, and a team including family members and professionals works together to design a program. The local school district is responsible for providing the program—specialized instruction, services, accommodations and anything else that the team has identified as necessary to provide the student with a high-quality education. Progress measurements are guaranteed under the IDEA to ensure that the student finds meaningful success, in light of the circumstances of disability. If a neighborhood school cannot provide the services and programming that are deemed necessary, then the school district is responsible for creating a program and placement that does meet the student’s needs. The federal law drives how states design their own special education policies and procedures. Title 34, Part 104 is the non-discrimination federal statute under the Office of Civil Rights Department of Education. In Washington State, rules for the provision of special education are in Chapter 392-172A of the Washington Administrative Code (WAC). Part B of the IDEA covers children ages 3 through 21—or until graduation from high school. Students who receive services through an Individualized Education Program (IEP) are covered under Part B, and the principles listed below describe IDEA’s Part B protections. Part C protects children Birth to age 3 who need family support for early learning. ​The disability category of developmental delay overlaps early learning and IEP and can qualify a child for free, family-focused services to age 3 and school-based services through age 8. The disability must be found to have an adverse impact on learning. When a student qualifies for services, specialized instruction is recommended to help the student overcome the impact of the disability in order to access meaningful learning. PAVE provides comprehensive articles about evaluation and the IEP process. 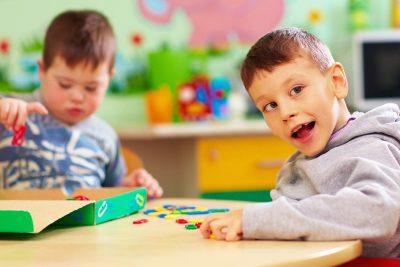 Free Appropriate Public Education (FAPE): Students with disabilities who need a special kind of teaching or other help have the right to an education that is not only free but also “appropriate,” designed just for them. Under IDEA rules, schools provide special education students with “access to FAPE,” so that’s a common way to talk about whether the student’s program is working. Appropriate Evaluation: The IDEA requires schools to take a closer look at children with potential disabilities. There are rules about how quickly those evaluations get done. The results provide information that the school and parents use to make decisions about how the child’s education can be improved. Individualized Education Program (IEP): The IEP is a dynamic program, not a packet of paper. The document that describes a student’s special education program is carefully written and needs to be reviewed at least once a year by a team that includes school staff and parents/guardians. Every student on an IEP gets some extra help from teachers, but the rest of the program depends on what a student needs to learn. Learning in school isn’t just academic subjects. Schools also help students learn social and emotional skills and general life skills. 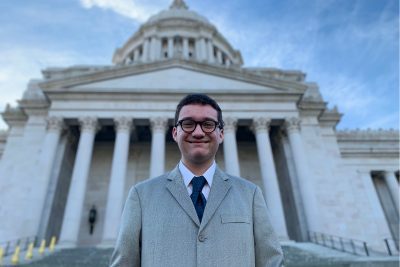 By age 16, an IEP includes a plan for life beyond high school, and helping the student make a successful transition into being an adult can be a primary goal of the IEP. Least Restrictive Environment (LRE): The IDEA says that students should be in class with non-disabled classmates “to the maximum extent appropriate.” That means that regular classrooms and school spaces are first choice as the “least restrictive” places. If the school has provided extra help in the classroom but the special education student still struggles to be successful, then the IEP team considers other options, such as a structured learning classroom. The school explains placement and LRE in writing on the IEP document. Parent and Student Participation: The IDEA makes it clear that parents or legal guardians are equal partners with school staff in making decisions about their student’s education. When the student turns 18, educational decision-making is given to the student. The school does its best to bring parents and students into the meetings, and there are specific rules about how the school provides written records and meeting notices. Procedural Safeguards: The school provides parents with a written copy of their rights at referral and yearly thereafter. 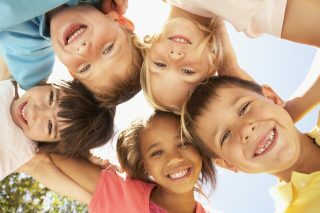 Parents may receive procedural safeguards any time they request them. They also may receive a copy if they file a citizen’s request or a due process complaint. Procedural safeguards are offered when a school removes a student for more than 10 days in a school year as part of a disciplinary action. When parents and schools disagree, these rights describe the actions that a parent can take informally or formally. PAVE provides information, resources and, in some circumstances 1:1 support through our Parent Training and Information (PTI) center. To get help, reach out through our Help Request Form or by calling 800-572-7368.